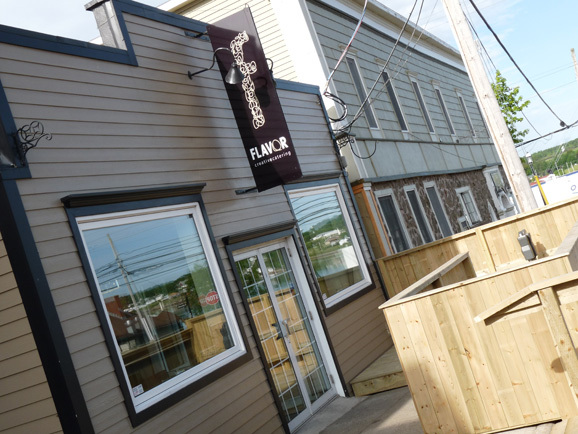 Flavor Downtown is a contemporary bistro style restaurant located in the heart of downtown Sydney, Nova Scotia. Our modern atmosphere assures you will be comfortable while you enjoy some of the tastiest food to be had on the east coast. We specialize in fresh local seafood, authentic Italian pastas, and artisan sandwiches and wraps. We offer an all-day breakfast, as well as an extensive all day lunch and dinner menu. Flavor specializes in personalizing special events and functions. Catering is available for all types of functions from business meetings to weddings.